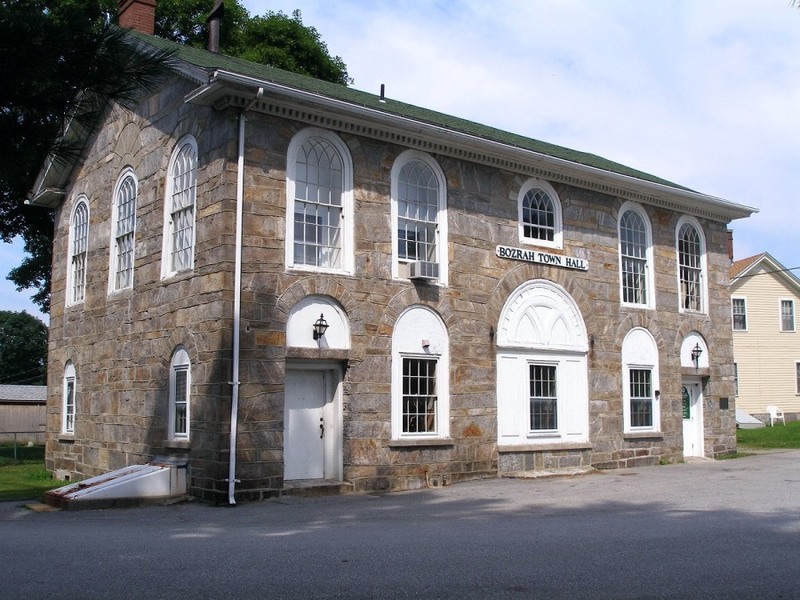 The town of Bozrah is located in the southeastern part of the state in New London County. First settled as a part of Norwich’s original nine square miles and the parish of West Farms, the area became its own parish in 1737. Its names included New Concord and the Fourth Society of Norwich. In 1786 the town was incorporated and renamed Bozrah. Early residents farmed and produced corn, oats, and flax as well as butter and cheese. 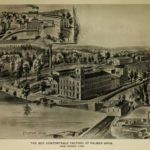 Early industry along the Yantic River in the Fitchville and Bozrahville sections of town included cotton manufactories. Today, the small town remains rural in nature and the Yantic River is a popular spot for fly fishermen. Bozrah Bi-Centennial Commission. 200th Anniversary Town of Bozrah: Connecticut’s 86th Town. Bozrah, CT: Bozrah BiCentennial Commission, 1986.